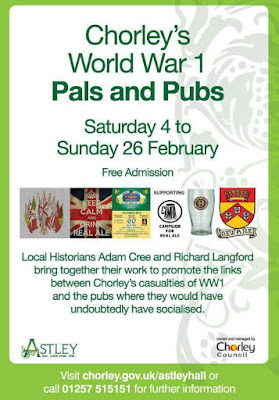 Towards the end of 2015 local historian Adam Cree and myself agreed to bring together some of our work to promote local history and links to Chorley's casualties of World War 1 and the churches and pubs of the town, where they would undoubtedly have visited. 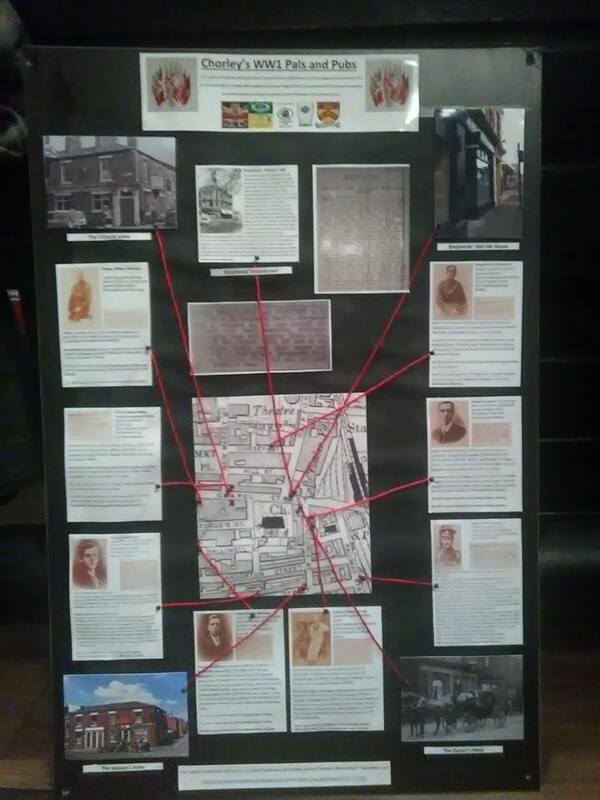 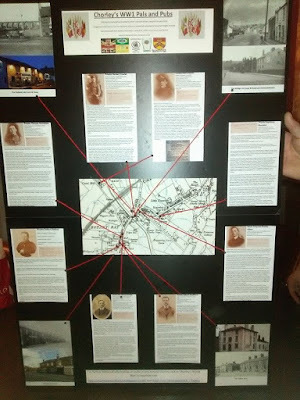 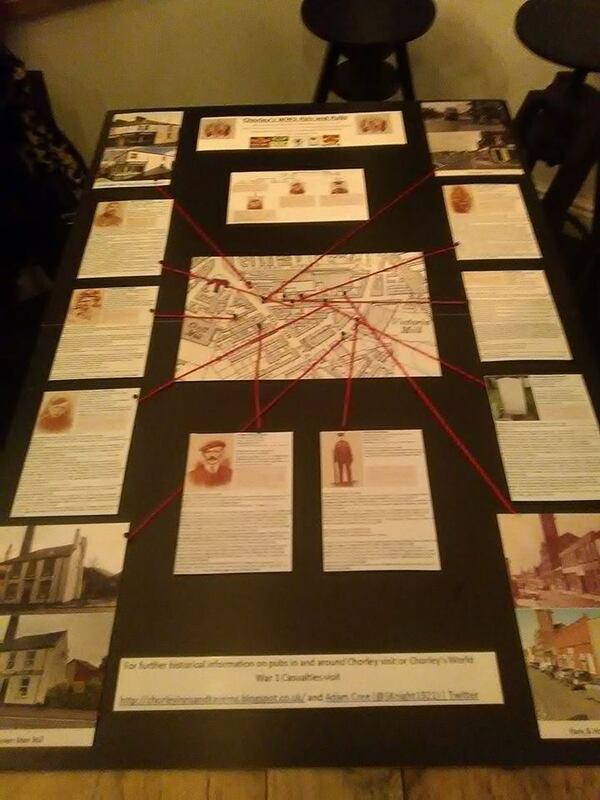 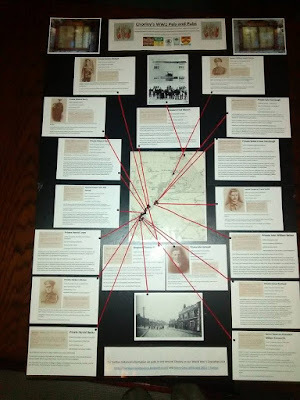 This project is still very much work in progress but by the end we hope to have prepared and displayed boards in a number of pubs in and around Chorley including the outlying villages. The first area we've focused on is the south east end of town covering the southern end of Eaves Lane, Brooke Street, Lyons Lane and Cowling Brow. 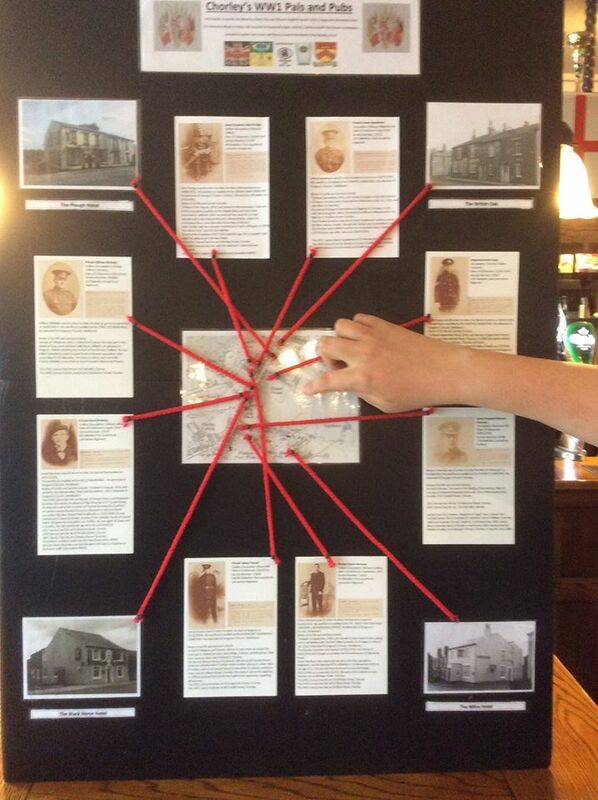 The first board was delivered to the Prince of Wales on Cowling Brow so our thanks go to Alan and Jo, our first hosts. Other pubs featured included the recently demolished Brooke's Arms (aka White House), Seven Stars, White Lion, Shepherds' Arms and Potter's Arms. 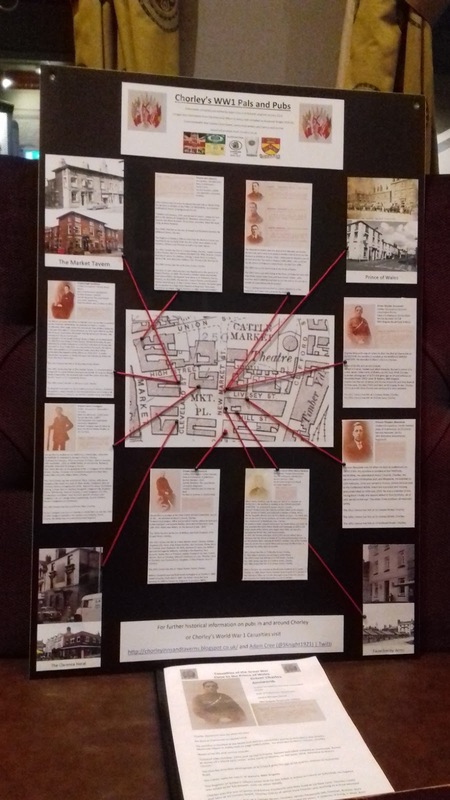 The second board focused on the east side of the town centre and incorporated the Railway Hotel, Malt 'n' Hops, Shepherds' Hall Ale House and the now forgotten Cordwainer's Arms on the corner of Livesey Street and Clifford Street. The board was presented to John Grainger and is available to view at the Malt 'n' Hops on Friday Street. 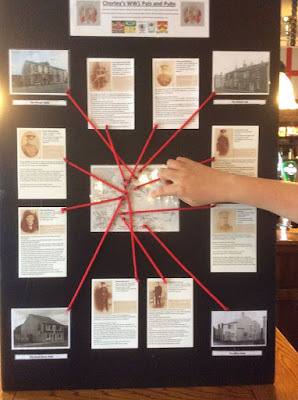 For stage three of the project we moved a little further afield to the outlying villages of Brinscall and Withnell and are currently displaying in the Cricketers' Arms on School Lane. 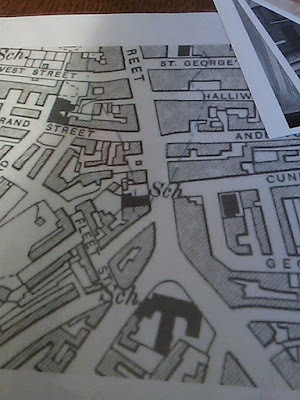 The Cricketers' and Oak Tree are both featured alongside two other pubs, both on School Lane that no longer trade, the Bull's Head and the Printer's Arms (now St Joseph's Club). 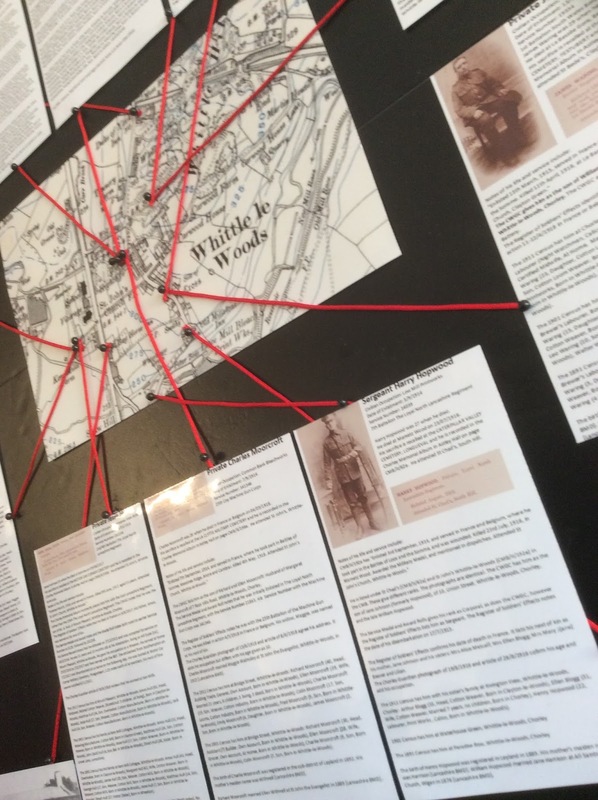 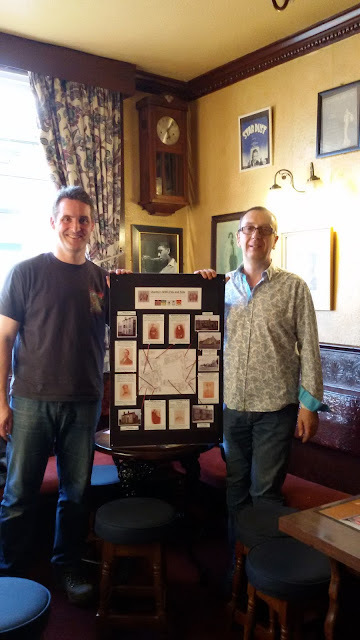 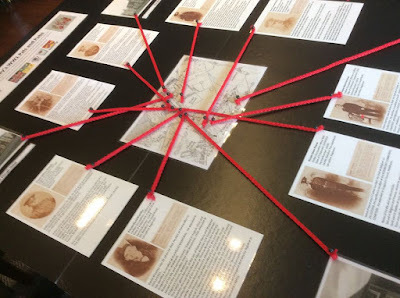 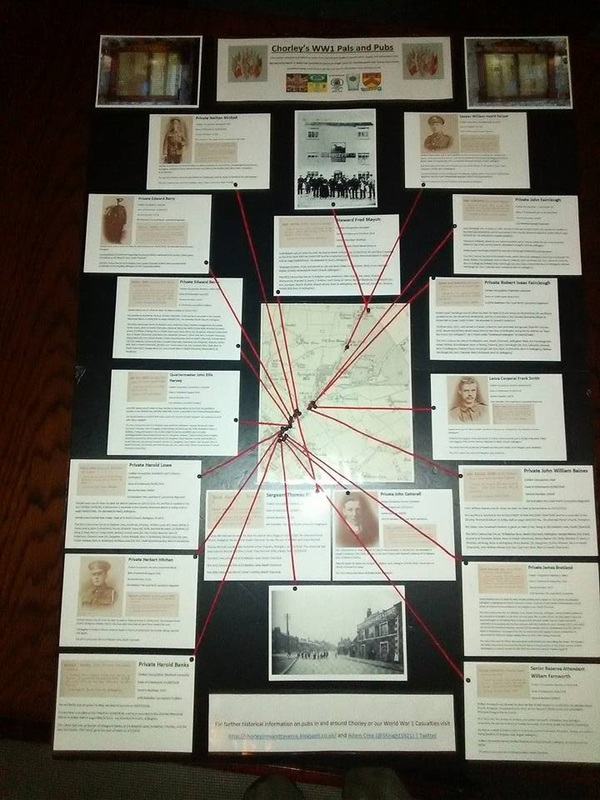 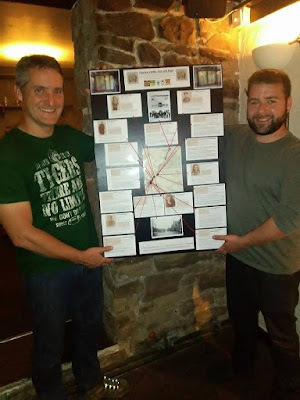 Thanks to Carl at the Bay Horse in Heath Charnock for hosting Pubs and Pals pop up museum number 6, which is on display from 27th July onwards. 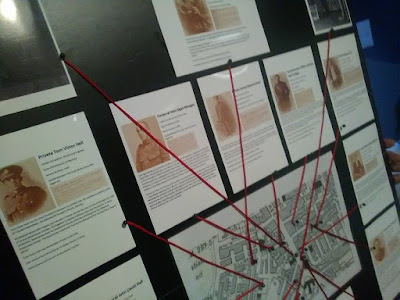 This museum focuses on the significant sacrifice of families living on Babylon Lane, from the Elephant and Castle up to the Bay Horse at the top of the lane. Wednesday 10th August 2016 saw us visit the very welcoming Shepherds' Hall Ale House on Chapel Street for no.7. 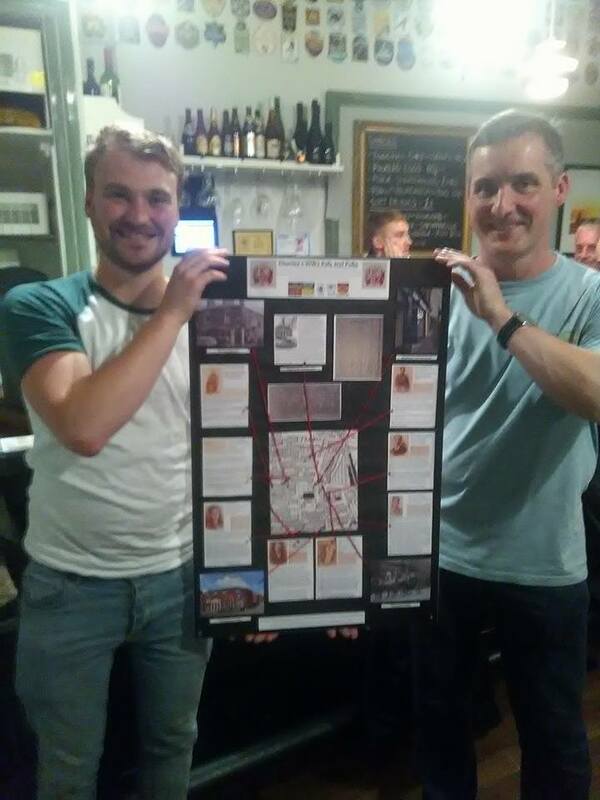 A big thanks goes to landlord Stuart and all the regulars for their participation and assistance on the night. Featured pubs along with the Shepherds' Hall Ale House were the Queens (opposite), Jackson Arms and Victoria Inn. 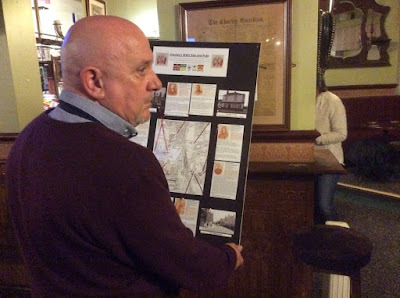 A recent exhibition was at Botany Bay from Sunday 28th-Monday 29th August 2016 at their "Canal Fest" to celebrate the 200 years of the Leeds Liverpool Canal featuring the Mason's Arms, Talbot Inn, Railway (aka Lock & Quay), Roebuck and Bridge Inn. 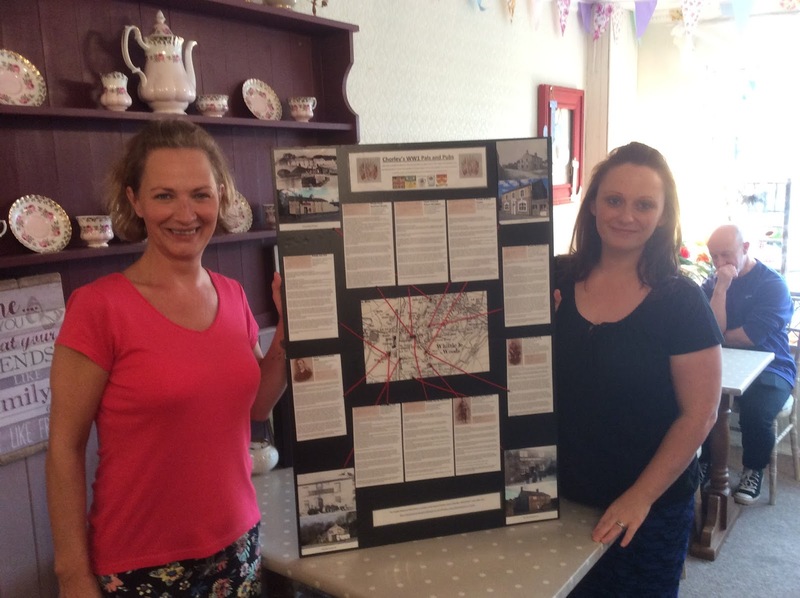 Exhibition no.9 was put together and presented to Jill and Louise at the J & L Vintage Tea Rooms, Chorley Old Road, Whittle-le-Woods on Saturday 24th September 2016. 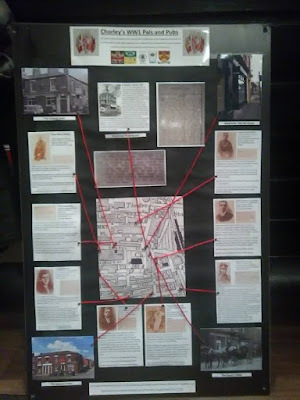 The board included a few of Whittle's older and almost forgotton pubs, the Cross Keys (next door), the Duke of York, Oddfellows and the Bay Horse Inn. 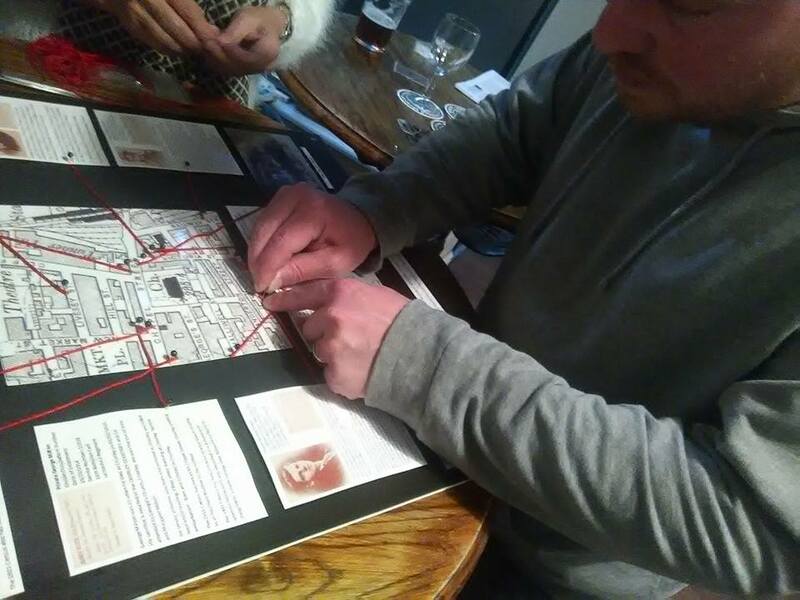 It was a busy Sunday evening (07/11/2016) when we called in at two more pubs and produced boards no.10 & 11 at the Lock and Quay (formerly the Railway Inn) at the bottom of Botany Brow and then the newly opened Bootleggers on the corner of Bolton Street and Albion Street, previous home of Winifrede's Lingerie and Dancewear shop. The Railway Inn (now Lock & Quay) is the only remaining public house located in the old Botany Bay area. 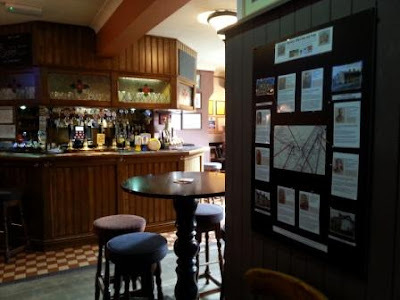 The Mason's Arms is still open, which is at the top of Botany Brow on Harper's Lane but the other pubs of yesteryear have all been closed then demolished to make way for new development; they include the Talbot Inn, Roebuck Inn, Bridge Inn and the Crofter's Arms. 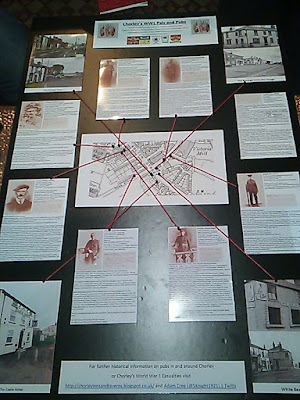 The Bootleggers gave us an opportunity to look back at the history in the area previously known as "Little Ireland" around Standish Street up to Duke Street. 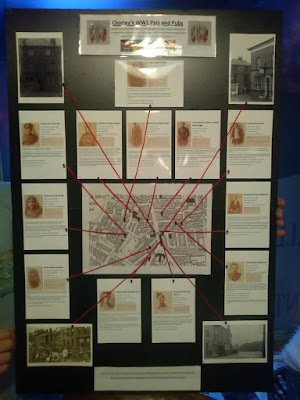 It was home to many pubs in days gone by such as the Castle Inn, Green Man Still, Hare & Hounds, Kings Arms, Waggon & Horses, Albion Hotel, Princess Royal, Borough Arms (aka Plough Inn), Victoria Inn (aka Red House) etc. but sadly none of those are now trading. 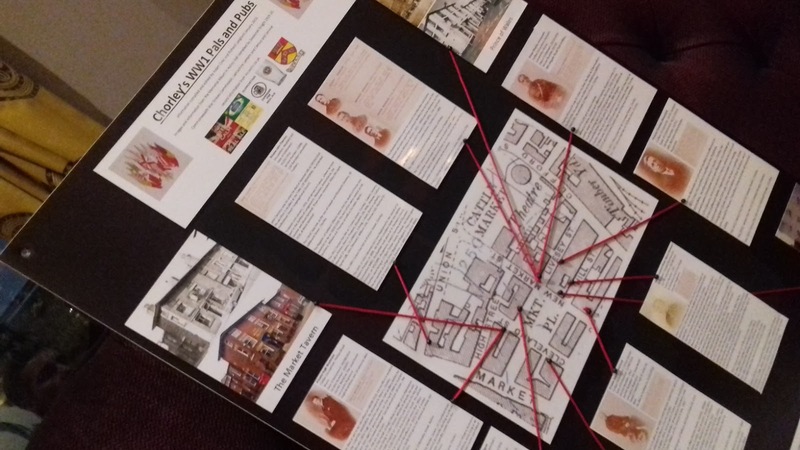 Future exhibitors for the pop-up exhibitions will hopefully be at the Prince of Wales (New Market Street, Eagle Hotel and Sebastopol Inn. 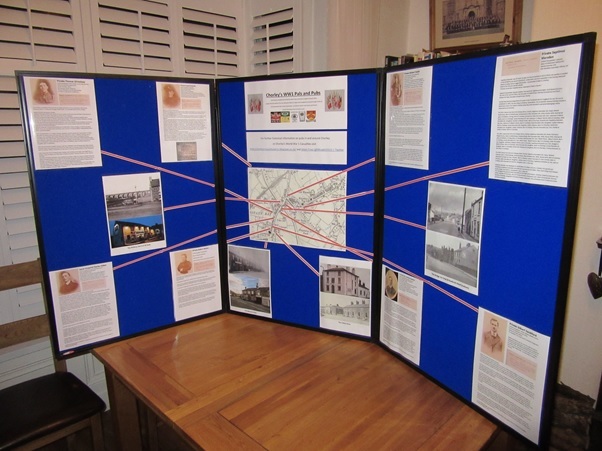 We had aimed for a round dozen so may even exceed that before we complete the project. 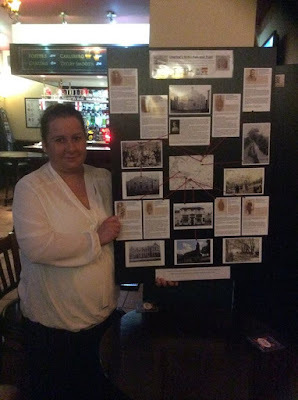 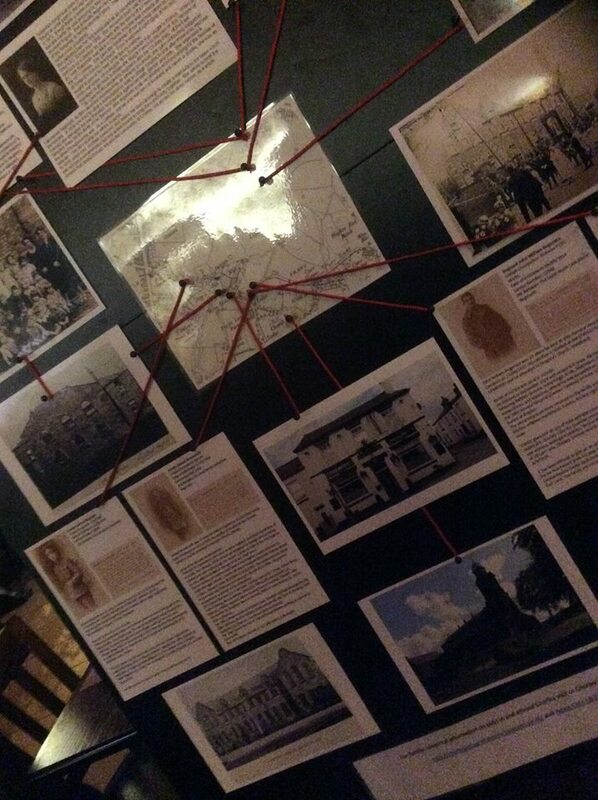 Board number 10 was well received at the Eagle Hotel on Bolton Street on 17th November...what a fabulous old pub this is. Thanks goes to landlady Linda Treadwell for being a great host. 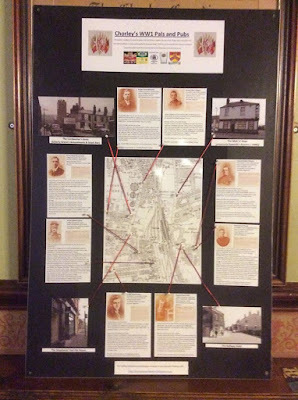 No.13 went up at the Prince of Wales on New Market Street in the town centre on 24th November with thanks to assistant manager Jon, who also has a keen interest in local history. 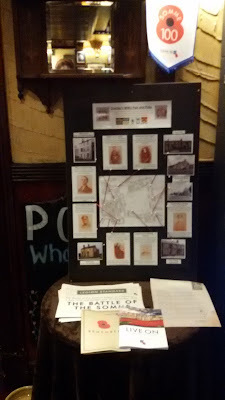 The Prince was featured alongside long forgotten pubs from the Market Square including the Fazackerley Arms, Clarence Hotel and the Market Tavern (hopefully to soon reopen). 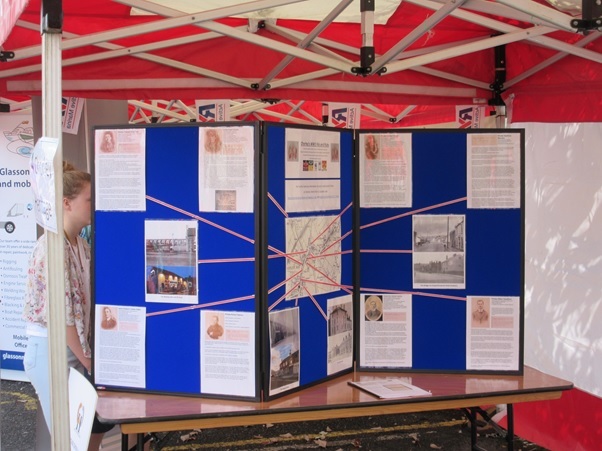 We're now planning the final few pop-up museums, which may include the Sebastopol, Bay Horse in Euxton and possibly Chorley Little Theatre bar subject to negotiation but prior to that we are holding an exhibition in February to display the boards so far. If you get round to doing one of Clayton or whittle le woods, I would love to host a pop up museum for you in our vintage tearoom in the village. 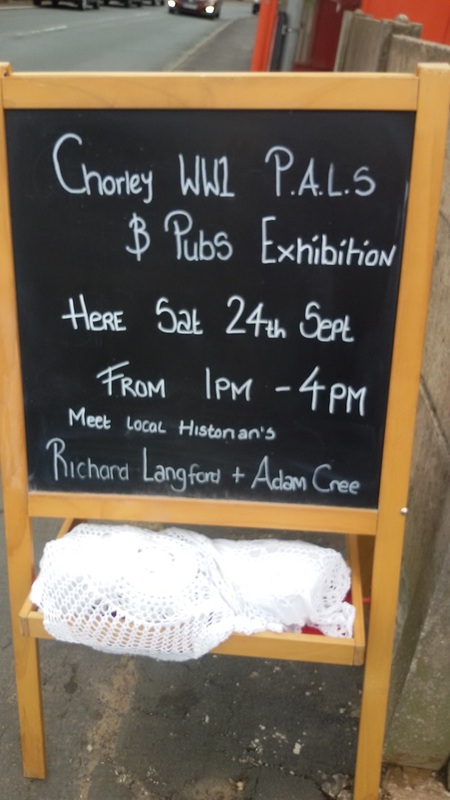 We hope to be able to come to your tea rooms on Saturday 24th September around midday and build a board for you whilst there. 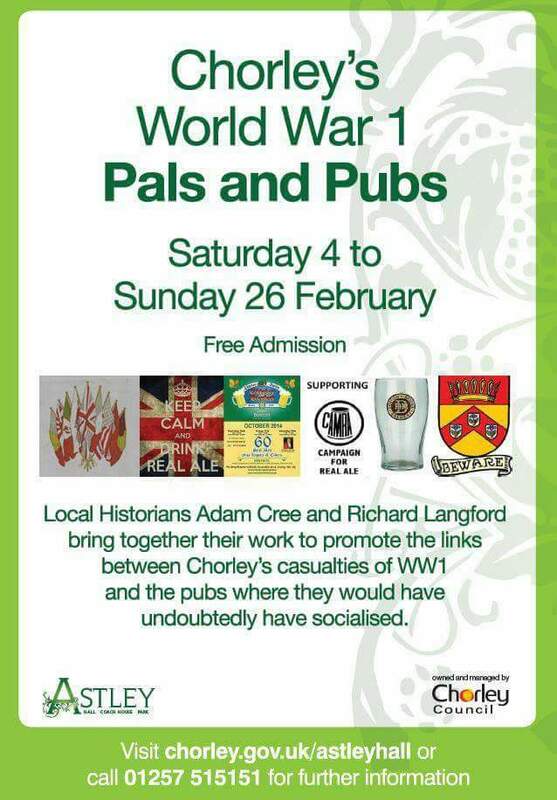 There'll probably be four of us. 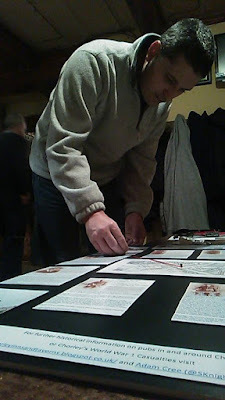 Would that be okay with you? We would love to. Adam and I are getting together this week and will discuss it then and get back to you. 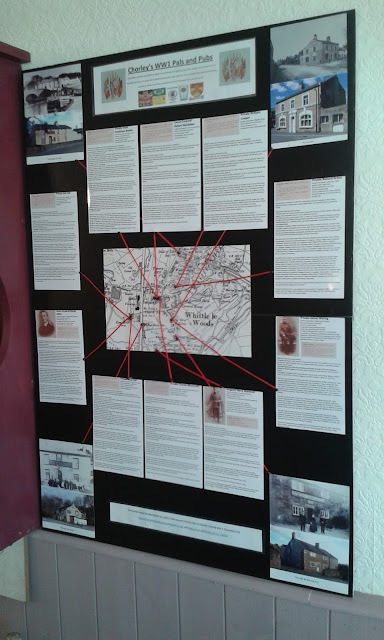 Have the tearooms been there a long time or are you a more recent addition to village life?